Top creative director/producer Rudy Gaskins reviews the rules for working with your crucial pipeline to producers - in Part 2 of this exclusive VoiceOverXtra series. Q: Does the agent influence the advertiser's decision to hire me? Yes, the agent can influence this choice in many ways. First of all, the advertiser has called your agent because he believes the agent has a high quality, highly skilled pool of talent to choose from. So the stature of your agent has already gotten the ball rolling. Second, your agent is the one who chooses YOU from among her entire talent pool, putting you a step closer to the job. Third, the agent can honestly promote some aspect of your talent that the advertiser may recognize as especially good for the job. Fourth, there are always occasions where circumstances call upon the agent to make an executive decision to select a particular talent of their choosing, for a time-sensitive project where there is no audition. Fifth, your agency - especially if they really understand your capabilities and range - may make an outright appeal on your behalf, suggesting to a client that they take a close look at you and to keep you in mind for future consideration. They might even arrange a speculative audition or meeting. Finally, your agent’s overall attitude and rapport with the advertiser/client can make or break a deal. Q: Do you recommend certain talent agencies over others? When you’re breaking into the business, you may want to accept a freelance opportunity with more than one agency. You have everything to gain by such an arrangement. Obviously, if you book work, the agent will want to offer you a contract. If you are lucky enough to have the problem of choosing between more than one agency contract offer, you’ll want to talk to actors who are already signed with the agencies you're choosing between. When you talk to other actors, understand and discern for yourself those reviews that may be biased from those that are grounded in an objective business point of view. Just because a person is signed to a talent agent doesn’t mean they have a fair and rational point of view as to how well the talent agent does her job. Many times, the talent’s view is the least objective. At some point, you have to turn up your persoal radar and make a judgment call. But don't worry. Your contract will allow both parties a clean exit strategy. Q: How should I work with my agent? Read books that explain the agent’s job, so you have a better understanding of what that job is. Take an active personal interest in your agent’s work, listening intently for the nuances of his or her job. Seek an honest, straightforward relationship that’s built on trust and business acumen. Agents often have to walk on eggshells with actors who can’t bear to hear the truth about where they may need improvements. Once your agent knows you have a thin skin, she will naturally want to avoid sending you into a deep depression by telling you need to work on some aspect of your performance or attitude. But trust me, this is exactly the kind of feedback you want from an agent! An agent is on the sidelines like a football coach. They can see things you cannot see. If you want to be a better player, you need to share your truth and let your agent share hers. There is little room for your personal drama. Be mindful of the fact that your agent works very hard for their 10% commission. The agent’s job is an up-at-dawn, never-ending siege of client demands, union regulations, talent complaints, and on and on. You want someone who will always tell you what they are willing to do, and what they expect of you. You have an equal responsibility to make the relationship work, and you have to understand the agent’s job before you can judge it. Q: Is it okay to do business with the producer without involving my agent? Let your agent handle everything outside of the actual performance. If you’re stuck in traffic, call your agent to pass along this information. If the producer calls you directly, be exceedingly polite and accommodating as you redirect him to your agent. You do yourself and your agent a huge disservice by trying to manage or negotiate logistics or money with the producer. You are free to associate with the producer in any other regard, but always keep in mind that you’re dealing with your agent’s client. Act accordingly. Though your resume may promote various companies as your clients, you are actually the client of your agent, and the company for which you perform the job is also your agent's client. The producer can replace you and/or the agent. Q: If I have ISDN, can I work directly with a producer? You will work directly with the producer only to the extent that your home studio becomes part of the recording facility. In all other ways, you continue to deal with the producer in the same manner that you would if you were going to a studio of the producer’s choosing. If you are working with the same producer on a regular basis, as is often the case, you will quickly establish a rapport that is understood by you, the producer and your agent. In most cases, this means that you and the producer will be free to streamline some of the logistics without calling the agent every second. However, the presence of the agent should never be forgotten or underestimated. And the agent should be made fully aware of your working relationship with the producer. Remember, you’re working with the agent’s client, and you represent the quality and brand of your talent agency. Q: Why do producers go through unions and agents when they can get much cheaper rates by going directly to the talent? Agents and unions have very definitive roles that facilitate the success of individual projects (jobs), as well as the voice-over industry in general. They are the oil that keeps the engine humming along. As a producer or ad client, I could not do the jobs of the agent and union reps with any reasonable expectation that these functions will be successfully fulfilled. By the same token, the talent cannot be agent and union rep, and ever hope to pull off a successful production. It’s sort of a right brain vs. left brain scenario. Obviously, there are many issues of fair labor practices, management contracts, pay scale and logistics that enter into making these relationships work, none of which the director or voice-over actor should be focused on during the creative process. Q: How do I get to the producer if I don't have an agent? Many producers will not deal with you without an agent. To do so makes for a horrible mess, and union issues sometimes make it far too difficult. Obviously, there are always exceptions, but I wouldn’t count on them. You need to get an agent if you want to have sustainable employment over time. In fact, your time is much better spent soliciting for an agent than trying to build a pool of producers, hoping they will call you in for work. In the meantime, there are a variety of non-union agents and services that will give you access to work without an agent - but they will take your money for the privilege and guarantee you nothing. At least with an agent, you’re working with a motivated player since they don’t get paid anything unless you get work! 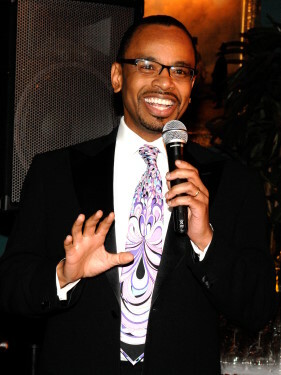 Emmy-winning producer Rudy Gaskins is CEO and Executive Creative Director of Push Creative Inc., a branding services company providing strategic marketing, graphic design and video/film production for TV broadcast networks and corporations. Clients include Lexus, FOX News Channel, BET, American Express, Spike TV, ABC Television, History Channel, MSNBC, and NBC Sports. Drawing on his former experience as a filmmaker and writer/producer/director for PBS, Gaskins has recently expanded Push Creative’s production scope to include program development, and is actively developing projects in several genres. He also coaches professional and aspiring voice-over actors in the development of performance technique. 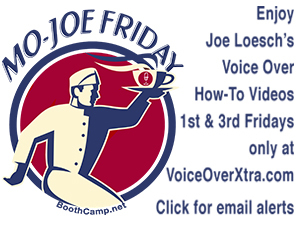 He is co-writer of Secrets of Voice-Over Success by Joan Baker, with whom he also partners in offering voice-over training. It is wonderful that the success of this company is growing. It is the faith that Rudy and Joan have kept within themselves that their dreams would come alive with hard work. They planted the seed and God did the increase. Keep it going guys. More blessings are yet to come. It's simple -- practice this and be ahead of 90% of the crowd. Really. Much appreciated advice as ususal. Thank you and Joan for your time and patience. I look forward to our sessions. For those who may not believe ... THIS IS NOTHING BUT THE TRUTH. As always, a cogent, clear and calm voice. Very practical and useful insights and advice. Your column feels the same way as a session with you - a steady coaxing of talent to their best. Rudy, it seems to me that your article is focused as a laser on one key concept. You are responsible for your own marketing! Yes, voice artists need an agent to land the largest accounts. But you make it clear that you just can't sit back and expect the agent to hold your hand and do everything for you. You have to work at the relationship with your agent as much as you do with a good client. Thanks for this timely reminder bro! Thanks for making these things so clear. It is a really good resource for understanding this important professional relationship. Anything that Rudy says has such integrity followed behind it. It's just awesome that he shares this information with us. The team from Push Creative has "pushed" my VO career to a level I never would have imagined. It is important to stay plugged in, and keep getting coached just like any athelete would. We must treat our career like an Olympic sport, stay focused and keep plugging into articles such as these. Thanks for your great insights, Rudy! Very well articulated, great clarity in appropriate expectations, and a deeper understanding of critical nuances in the relationships between talent, clients and agents. Thank you. Rudy, great article! I look forward to my bi-monthly coaching sessions with you and Joan Baker. Joan's enthusiastic energy to technique is balanced by your cool calm reassuring direction of copy. When I leave you guys after those two hours I feel mentally and physically expanded. Thanks, and keep the goods coming!